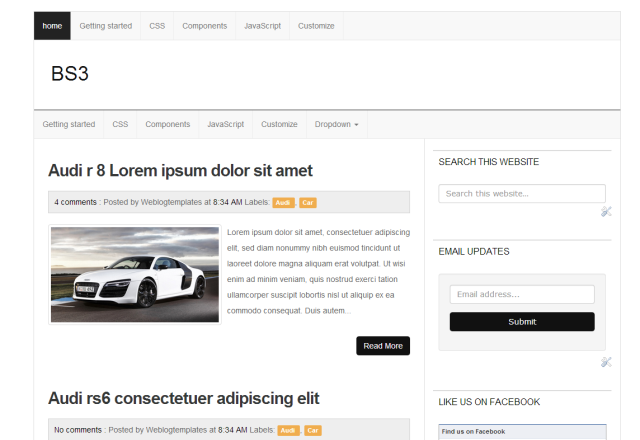 Here it is another light weight and awesome bootstrap blogger template. BS3 is a cool blogger template powered by Bootstrap 3. BS3 is fully responsive and minimal blogger template with plenty of awesome stuffs yet it is minimal.